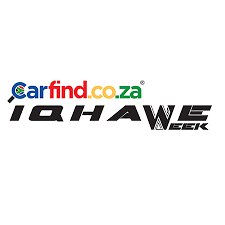 Eastern Province took top honours in the Carfind.co.za Iqhawe Week at the Bill Jardine Stadium in Johannesburg on Thursday as they defeated the Golden Lions 18-10 in a competitive final match, which brought down the curtain on an exciting 2018 tournament. The boys from the Eastern Cape started the clash strongly with a try by Serue Serue and penalty goal by Wessie Odendaal earning them an 11-0 lead. Hosts, the Golden Lions, bounced back with intent after the break, as they retained possession and ran hard on attack, and it paid off as they managed to reduce the deficit to 11-10 late in the match thanks to converted try by Mzwandile Dube and a penalty goal. The home side had an opportunity to force their way into the lead with another penalty goal, but the attempt was unsuccessful. Eastern Province, in turn, held their nerve late in the match with Serue crossing the tryline for the second time on the stroke of fulltime, which sealed the victory for them. The Griffons delivered a strong second-half showing to outplay Griquas 40-17 after the teams entered the break level at 12-12. Such was the high quality of their attack they scored six tries, with Marcus Stols contributing a brace, while Daniel Crouwkamp kept the scoreboard ticking with five conversions. The Leopards made their presence felt from the outset against Border as they build up an encouraging 24-5 halftime lead and built on this in the second half to increase their try tally to five for a comprehensive 31-12 victory. Isaac Muchanga scored a brace and Bukho Ngxakamba kicked three conversions to steer the team to victory. The Sharks were in solid form against Boland, and made good use of their try-scoring opportunities as they touched down three times and backed this up with a good kicking performance to earn a 25-7 victory. Boland tried hard to force their way into the match, but they could only breach the defence once. Western Province also finished their campaign on a winning note by defeating the Pumas 23-10 as they outscored the Mpumalanga outfit three tries to one. Mandiluve Matsoyiyane scored two of the Capetonians tries, while Coun-lee Koekman slotted over a conversion and two penalty goals. A brace by the Valke’s Keagan Kochs and a solid defensive display paved the way for their 21-5 victory against Free State. The first half was tight, with the Valke talking a narrow 7-5 lead but they crossed the chalk twice more after the break, and managed to shut out the boys from Bloemfontein. The clash between the Blue Bulls and SWD was gripping, with the Pretorians’ edging their way to a 22-17 victory thanks to more accurate goal kicking. Both sides scored three tries, but Byron Jansen’s extra conversion and penalty goal proved to be the difference on the scoreboard.